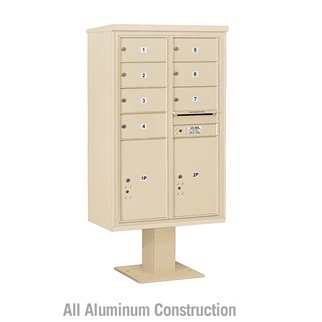 (+$70.00) Custom engraved door identification for 4C pedestal mailboxes offers the customer a permanent clean door identification option. The engraved characters on your compartment doors will be silver with this door identification option because the unit is manufactured from aluminum. 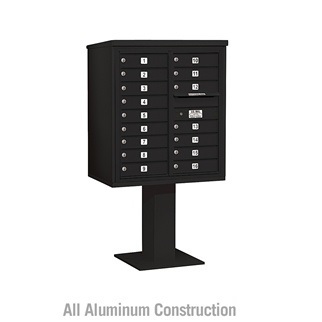 (+$70.00) Custom black filled engraving adds a touch of class to your mail receptacle. 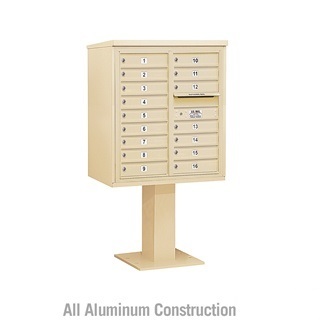 Each 4C pedestal mailbox door is engraved with the characters you specify and then filled in with a black ink to further distinguish the door identification.